Looking for Halloween craft ideas? 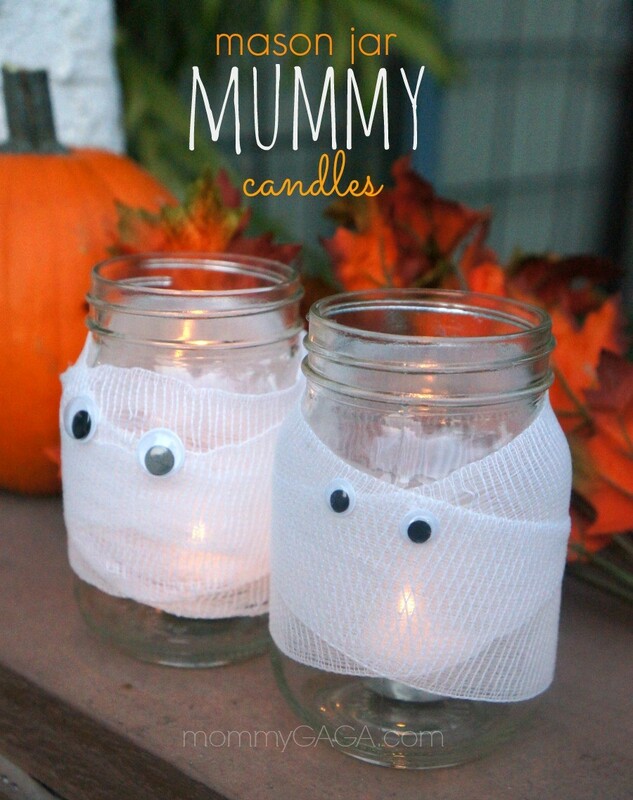 Light the night with these Halloween mason jar mummy candles – how fun are these little DIY Halloween decorations? My son and I made these last night, Halloween Mason Jar Mummy Candles! This was such an easy Halloween craft that turned out prmetty cute, I only used 4 items ans a little glue to put these together. These bright mummies are sure to greet trick-or-treaters at the door this Halloween. 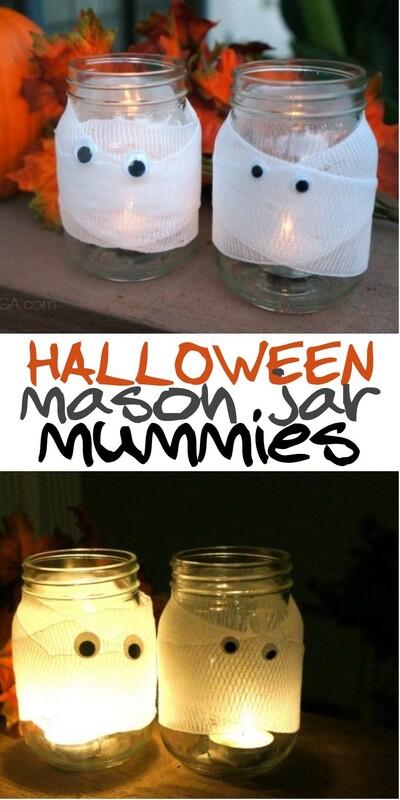 This Halloween mason jars DIY project is simple, we had a lot of fun making these together. Unravel the roll of gauze and dab a few dots of glue on the end. 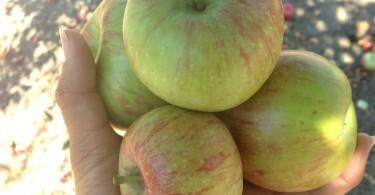 Stick it onto the side of your mason jar at an angle, press and hold for about 30 seconds. 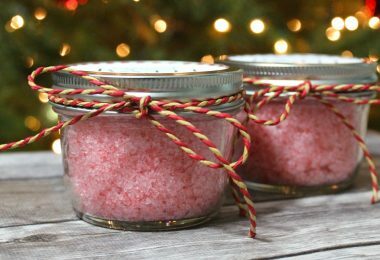 Wrap the gauze securely around the jar about 3 – 5 times, making sure to follow the angle and cover the whole mason jar, mummy style. When you’ve made it back around to the first glue site, cut the gauze and dot some glue on the end. Press and hold firmly for 30 seconds, be sure you have both your start and finish glued onto the same side of the jar. This will be the back side. 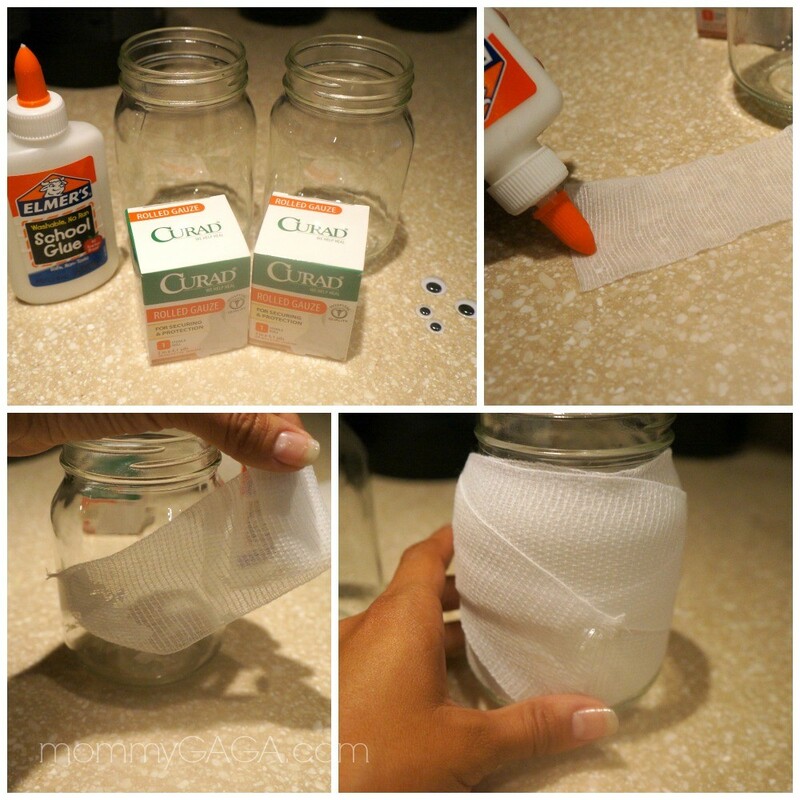 Turn the jar to the front and spread out the gauze into the desired fashion. Glue on two googly eyes wherever you want them and let the mummy dry. When you’re ready, add the flameless tea light candles and set them in a window or outside on the porch and admire! 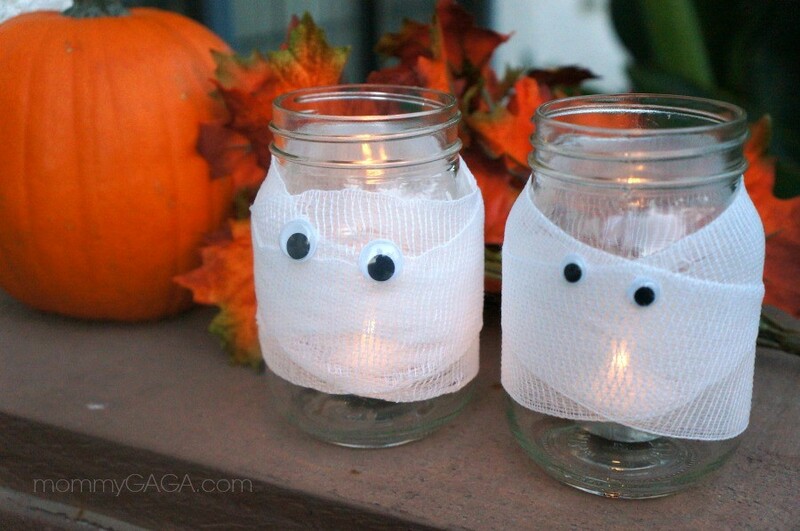 We just love these Halloween mason jar decorations, a great Halloween party idea! 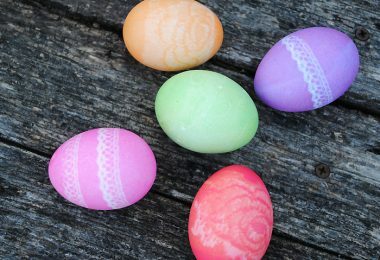 Hope you make them and yours turn out just as fabulous! REALLY cute! I’d just use tape so that the gauze could come off and the jars reused. Those turned out super cute, Deanna! I like them both at night and during the day.